Biline: Dream Lake, Rocky Mountain Nat. Pk. 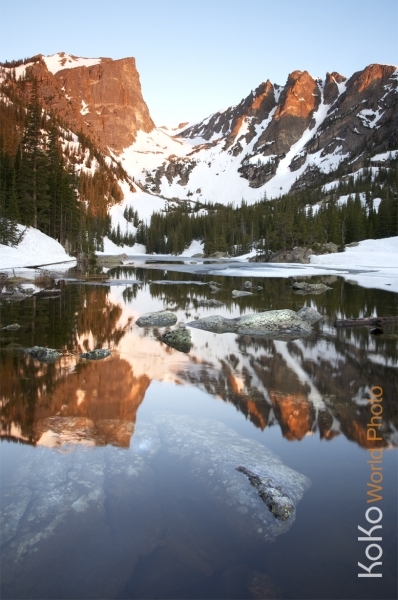 Spring thaw arrives late in Rocky Mountain National Park. This image occurred in June, revealing reflections through the melting ice.